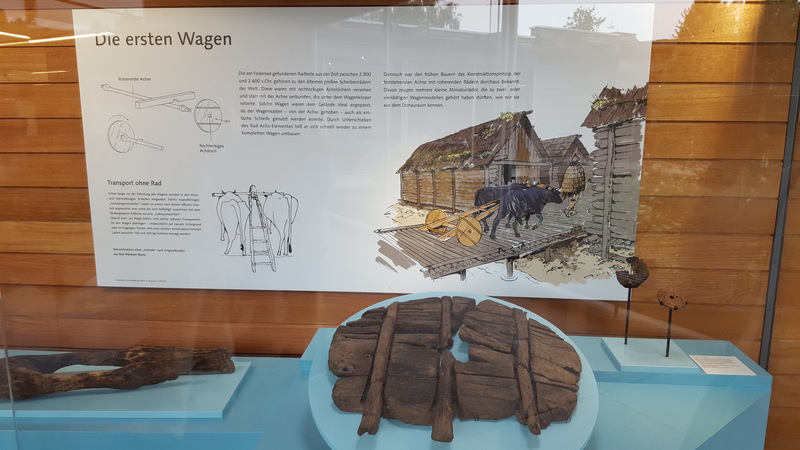 Experience prehistorical sites and life A slogan that has been adopted by the Federsee Museum. Baking bread the same way as they did it in the Bronze Age, processing of flint stones into weapons or tools and experiencing very closely how an authentic stone age village is re-erected. Learning and understanding how our ancestors once lived. The fen as conservator of the way of life in the distant past. Numerous findings of commodities but also works of art showing the daily life of the early settlers. Unique are the findings of the eldest preserved cartwheel in Middle Europe or the Celtic Bird heads which have become the emblem of the museum.